Elk Country Campground a few miles south of Orick CA May 3, 4, 5. There are five more camp sites available in the area around their “lake” for Friday and Saturday nights. We have 14 sites filled as part of The Redwood Crawl. You are welcome to join us for the weekend. We have a discount rate of $30.60 per night for sites 103, 104, 105, 106 & 108. Just let them know that you are with the Teardrops. Call (707) 488-2181 to book a site. There will be a pot-luck Saturday night. You are also welcome to join all or part of the crawl. 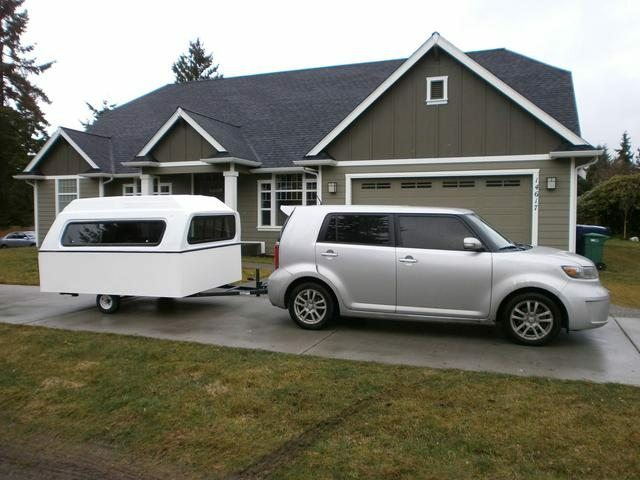 A friend of Marna's with a teardrop he built from a CLC kit will be joining us. 4 more campsites to fill. Marna has added another friend, 3 more campsites to go! Elk Country Campground a few miles south of Orick CA May 3, 4, 5. There are few more camp sites available in the area around their “lake” for Friday and Saturday nights. We have 17 sites filled as part of The Redwood Crawl. You are welcome to join us for the weekend. Just let them know that you are with the Teardrops. Call (707) 488-2181 to book a site. We will posting pictures when possible on the Facebook page of Linda Bowman Sorensen during the crawl.